Venus Metals (ASX:VMC) has received a further positive report from METS Engineering Group regarding additional sighter test work leaching of the vanadium oxide ores at the Company&apos;s Youanmi vanadium project. The testwork was designed to give further understanding of the metallurgical characterization of the vanadium oxide ores at Youanmi. 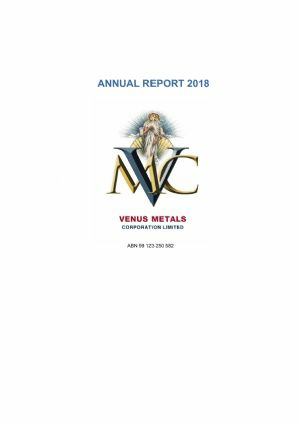 Venus Metals Corporation Limited (ASX:VMC) provides the Company&apos;s Quarterly Report for the period ending 31 December 2018. Venus Metals Corporation (ASX:VMC) is pleased to advise it has received applications and commitments from professional and sophisticated investors for a private placement of 3,333,333 new ordinary fully paid shares at A$0.15 per share to raise approximately A$500,000, before costs. Reference is made to the ASX release made by Venus Metals Corporation Limited (ASX:VMC) on 28 May 2018 in relation the 2 option agreements that enable Venus to purchase the historical Youanmi Gold Mine (MLs) and all associated infrastructure and the mine village. Venus Metals Corporation Limited (ASX:VMC) is pleased to announce the following positive results from a recently completed ground gravity survey at VMC DeGrussa North copper project, Western Australia. Venus Metals Corporation Limited (ASX:VMC)(FRA:EZL) is pleased to announce the completion of a 6282m reverse circulation (RC) drilling programme at the Youanmi Vanadium Oxide Project, Western Australia. Venus Metals Corporation Limited (ASX:VMC) (FRA:EZL) is pleased to announce the commencement of a 6000m reverse circulation (RC) drilling programme at the Youanmi Vanadium Oxide Project, Western Australia. Venus Metals Corporation Limited (ASX:VMC) provides the Company&apos;s latest presentation. The Directors of Venus Metals Corporation Limited (ASX:VMC) are pleased to announce that they have entered into a Farm-in Agreement with Pilgangoora Minerals Pty Ltd. The Directors of Venus Metals Corporation Limited (ASX:VMC) are pleased to announce the results of preliminary beneficiation testwork on an oxide composite sample from the Youanmi Vanadium Project, Western Australia. The Directors of Venus Metals Corporation Limited (ASX:VMC) are pleased to announce that the Xcite HEM survey flown by NRG over its 100% owned Greenbushes East VMS Project was successfully completed. The Directors of Venus Metals Corporation Limited (ASX:VMC) are pleased to announce a major breakthrough in regard to the Youanmi Vanadium Project following receipt of proof-of-concept metallurgical test work on oxide ores. Venus Metals Corporation Limited (ASX:VMC) has entered into a convertible loan agreement dated 3 September 2018 with Bazco Pty Ltd, an entity controlled by Mr Barry Fehlberg, an Executive Director of the Company, pursuant to which Bazco will advance A$400,000 to the Company. 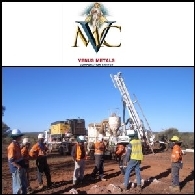 Venus Metals Corporation Limited (ASX:VMC) is pleased to announce an update on the preliminary metallurgical testwork on historical diamond drill core samples from the Youanmi Vanadium JORC 2012 Resource located at Youanmi, Western Australia. The Directors of Venus Metals Corporation Limited (ASX:VMC) are pleased to announce the results of preliminary metallurgical testwork on eleven historical diamond drill core samples from the Youanmi Vanadium Project, Western Australia. Venus Metals Corporation Limited (ASX:VMC) provides the Company&apos;s latest presentation titled "The Historic Youanmi Gold Mine". 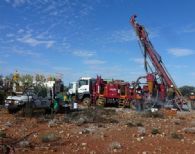 A reconnaissance RAB drilling program has commenced at the Currans Well Prospect that is part of the Youanmi Cobalt-Nickel Project in the Youanmi greenstone belt, Western Australia. 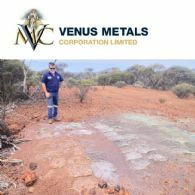 Venus Metals Corporation Limited (ASX:VMC) provides the Company&apos;s Quarterly Report and Cash Flow Report for the period ending 30 September 2017. Venus Metals (ASX:VMC) announces the following addendum to the previous ASX announcement "Giant Pegmatite identified within Poona East Project...." on 11 October 2017. 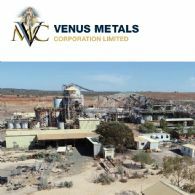 Venus Metals Corporation Limited (ASX:VMC) provides the Prospectus Options Offer to Shareholders. Venus Metals Corporation Limited (ASX:VMC) is pleased to advise that the Company intends to undertake a pro-rata non-renounceable entitlement offer of listed options over fully paid ordinary shares (ASX:VMCOA) on the basis of 1 new Option for every three fully paid ordinary shares held to raise up to approximately $512,000 (before costs). Preliminary Work by Venus (ASX:VMC) in 2016 discovered a hand specimen of tantalite within a previously un-prospected drainage system ten kilometers north of Coodardy Station within recently granted Poona East tenement E20/896 (granted on 9 October 2017). During 2016-17, Venus Metals Corporation Limited (ASX:VMC) carried out exploration works on its diverse portfolio of projects focusing mainly on base metals, cobalt, gold and lithium. 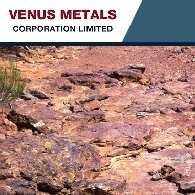 Venus Metals Corporation Limited (ASX:VMC) is pleased to advise that it has received applications and commitments for a private placement of up to 6,800,000 shares at A$0.10 per Share to raise up to A$680,000 before costs to qualified professional and sophisticated investors. The Placement is expected to complete immediately after all the funds are received and cleared. 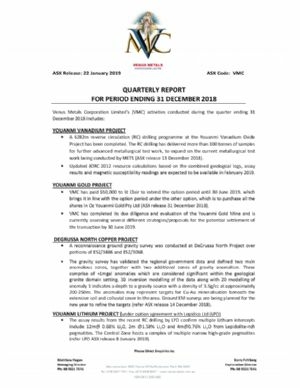 Venus Metals Corporation Limited (ASX:VMC) is pleased to announce that a historical data review and target generation program has identified three highly prospective gold targets within VMC Youanmi tenements E57/986, E57/1019 and E57/985. Venus Metals Corporation Limited (ASX:VMC) announces that Pincher Well Zinc-Copper Prospect phase 2 RC drilling commences on strong IP anomalies to the south of high grade zinc mineralisation. Venus Metals Corporation Limited (ASX:VMC) provides the Company&apos;s Quarterly Report and Cash Flow Report for the period ending 30 June, 2017. Venus Metals Corporation Limited (ASX:VMC) is pleased to provide an update on WA Lithium Projects at Pilgangoora and Greenbushes. The Directors of Venus Metals Corporation Limited (ASX:VMC) are pleased to announce that the phase 2 Induced Polarisation survey was completed by Vortex Geophysics at Pincher Well Volcanogenic Massive Sulphide Trend with excellent survey results as interpreted by Core Geophysics. Venus Metals Corporation Ltd (ASX. :MC) are pleased to announce the Induced Polarisation (IP) Survey has commenced, identifying high-grade zinc mineralization across two highly prospective areas. Venus Metals Corporation Limited (ASX:VMC) continues its evaluation of the Youanmi Project in the Murchison Mineral Field of Western Australia. Venus Metals Corp (ASX:VMC) advises that the Board has resolved, subject to receipt of shareholder approval, to offer up to 31,449,491 listed options exercisable at $0.20 each on or before 30 November 2019 at an issue price of $0.005 per option on the basis of 1 New Option for every 1 listed Option which expired on 30 November 2016 to raise up to approximately $157,247 before expenses. The Directors of Venus Metals Corporation Limited (ASX:VMC) are pleased to announce that scout drilling of targets within the Poona lithium-tantalum project area in Western Australia has intersected anomalous lithium mineralisation in a number of drill holes. Venus Metals Corporation Limited (ASX:VMC) is pleased to announce strategic DeGrussa North Tenement pegged and Curara Well Holding extended. Venus Metals Corporation Limited (ASX:VMC) is pleased to announce recent field work shows previously unrecognised gossanous outcrop overlying the substantial Induced Polarisation anomaly generated during the recent geophysical survey conducted at North Dome. Venus Metals Corporation Limited (ASX:VMC) pleased to announce that the Induced Polarisation (&apos;IP&apos;) survey was completed by Vortex Geophysics at Pincher Well Volcanogenic Massive Sulphide Trend (&apos;VMS&apos;) - with outstanding survey results as interpreted by Core Geophysics. 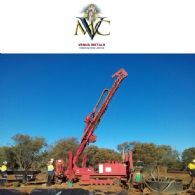 Venus Metals Corporation Limited (ASX:VMC) is pleased to announce that drilling commences at Curara Well Project Doolgunna. Venus Metals Corporation Limited (ASX:VMC) is pleased to provide its Quarterly Report and Cash Flow Report for period ending 30 September 2016. Venus Metals Corporation Limited (ASX:VMC) is pleased to announce that Youanmi Project Drilling Commences at Inky South EM Target. Venus Metals Corporation Limited (ASX:VMC) has commenced drilling over high-grade lithium targets at Poona Lithium Project. Venus Metals Corporation Limited (ASX:VMC) are pleased to announce that the Induced Polarisation survey was completed by Vortex Geophysics at Pincher Well Volcanogenic Massive Sulphide Trend - with outstanding survey results as interpreted by Core Geophysics. The Directors of Venus Metals Corporation Limited (ASX:VMC) are pleased to announce that sampling within the Poona lithium-tantalum project area in Western Australia has returned highgrade lithium results and identified a new target area for drill testing. The Directors of Venus Metals Corporation Limited (ASX:VMC) are pleased to announce that geophysical surveying, utilising induced polarisation, of the Pincher Well Volcanogenic Massive Sulphide Trend (&apos;VMS&apos;) Trend has commenced. Venus Metals Corporation Limited (ASX:VMC) is pleased to advise that it has successfully completed a bookbuild to raise up to A$1.2 million through a placement of up to 8 million shares at an issue price of 15 cents per share to a number of professional and sophisticated investors. Venus Metals Corporation Limited (ASX:VMC) are pleased to provide the Company&apos;s latest Investor Presentation titled &apos;Powering up with Lithium&apos;. 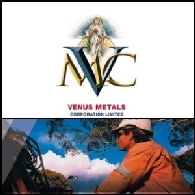 Venus Metals Corporation Limited (ASX:VMC) are pleased to provide the Company&apos;s Annual Report 2016. The Directors of Venus Metals Corporation Limited (ASX:VMC) are pleased to announce that sampling on the Poona lithium-tantalum project area in Western Australia has returned high-grade lithium results and identified targets for drill testing. Venus Metals Corporation Limited (ASX:VMC) are pleased to provide the Company&apos;s Quarterly Report regarding activities conducted during the quarter ending 30th June 2016. The Directors of Venus Metals Corporation Limited (ASX:VMC) are pleased to announce that the reconnaissance on the Nardoo Hill lithium-tantalum project areas in Western Australia has identified extensive pegmatite targets for exploration and resulted in Venus expanding its project area. The Directors of Venus Metals Corporation Limited (ASX:VMC) are pleased to announce that the initial evaluation of its Greenbushes lithium-tantalum project areas in Western Australia shows extensive target areas to the east of the &apos;wold-class&apos; Greenbushes lithiumtantalum mine. The Directors of Venus Metals Corporation Limited (ASX:VMC) are pleased to announce that the Company has been awarded a $150,000 grant toward drilling on the Curara Well Gold-Diamond-Base Metals Project at Doolgunna Region, under WA Government Exploration Incentive Scheme Co-funded Exploration Drilling Programme. The Directors of Venus Metals Corporation Limited (ASX:VMC) are pleased to announce that initial exploration on its lithium-tantalum project areas in Western Australia has returned high-grade lithium results in surface sampling at Poona. Venus Metals Corporation Limited (ASX:VMC) has been advised by Australian Taxation Office (ATO) that its application to participate in the EDI has been accepted. Venus Metals Corporation Limited (ASX:VMC) is a diversified metals exploration Company focused on a developing portfolio of high-quality projects in Lithium, Precious and Base metals in Western Australia. 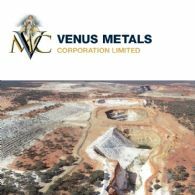 Venus Metals Corporation Limited&apos;s (ASX:VMC) activities conducted during the quarter ending 31 March 2016. Venus Metals Corporation Limited (ASX:VMC) is pleased to advise that it has received applications and commitments for a private placement of 4,000,000 shares at A$0.25 per share to raise A$1,000,000 before costs. The Placement will complete immediately after all the funds are received and cleared. Lithium Australia NL (ASX:LIT) and Venus Metals Corporation Ltd (ASX:VMC) have executed a Memorandum of Understanding (MoU) to initially test the commercial lithium potential of Venus&apos; holdings in the Pilbara region of Western Australia. The Directors of Venus Metals Corporation Limited (ASX:VMC) are pleased to announce that the Company has applied for two strategic tenements in the world-class Greenbushes lithium province. The Directors of Venus Metals Corporation Limited (ASX:VMC) ("Venus Metals") are pleased to announce that the Company has extended its tenement holdings in the Pilgangoora region, a recognised &apos;lithium hot spot&apos;, having made an additional exploration licence application (ELA 45/4684). Venus Metals Corporation Limited (ASX:VMC) announces that significant Doolgunna Region Red Bore Style Breccia Pipe Targets have been identified. 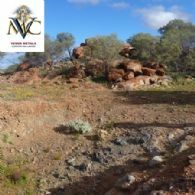 Venus Metals Corporation Limited (ASX:VMC) are pleased to provide the June 2012 quarterly report, highlights include; Yalgoo Iron Ore project, Argyle Smoke Creek Alluvial Diamond project, Telfer North Super project, Moodini project and the Copper Hills project. The Directors of Venus Metals Corporation Limited (ASX:VMC) are pleased to announce that it has been awarded two grants totalling $350,000 for drilling at Radi Hills ($200,000) and Citadel ($150,000) projects under WA Government Exploration Incentive Scheme Co-funded Exploration Drilling Programme. Venus will be required to match the $350,000 funding grant on a dollar-for-dollar basis on direct drilling costs. The Directors of Venus Metals Corporation Limited (ASX:VMC) are pleased to report that processing of diamondiferous gravels at the Argyle Smoke Creek Alluvial Diamond project has commenced for economic evaluation. Venus Metals Corporation Limited (ASX:VMC) exploration activities conducted during the quarter ending 31 March 2012 includes soil sampling and assaying at Yalgoo Iron Ore Project, assaying of RC chip and soil samples at Bassit Bore Prospect, reconnaissance RAB drilling programme at Yarloo Well and preparation for processing diamondiferous alluvial gravels at Smoke Creek. Venus Metals Corporation Limited&apos;s (ASX:VMC) exploration activities conducted during the quarter ending 31 December 2011 were mainly focused on soil sampling and assaying at Yalgoo Iron Ore Project, successful commissioning of the diamond processing plant at the Argyle Smoke Creek Alluvial Diamond Project and a reconnaissance drilling programme at Bassit Bore Prospect. 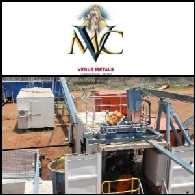 Venus Metals Corporation Limited (ASX:VMC) are pleased to announce the successful commissioning of the Diamond Processing Plant at its Argyle Smoke Creek Alluvial Diamond Project. Venus Metals Corporation Limited (ASX:VMC) is pleased to receive from the Department of Mines and Petroleum the grant of the Copper Hills tenement E 45/3541 of 221 sq km in the East Pilbara region of Western Australia. 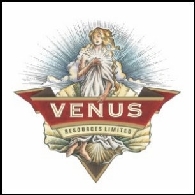 Venus was advised in 2010 that it had won the rights to the area following a ballot for the ground between 4 applicants. 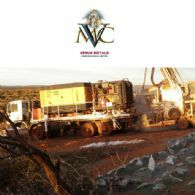 Venus Metals Corporation Limited (ASX:VMC) are pleased to announce RC drilling has commenced at the Company&apos;s Bassit Bore Project (refer ASX release 16th August 2011 option agreement signed to purchase the tenement) located in the Gascoyne Province of WA. Venus Metals Corporation Limited (ASX:VMC) refer to the announcement to the Australian Securities Exchange (ASX) on 31 October 2011 whereby the Company announced the receipt of gold assays from one metre sampling of drill hole YGRC 156 and composite five metre sampling from four holes (YGRC 137, 140, 141 and 144) completed at the Yalgoo Gold Project. 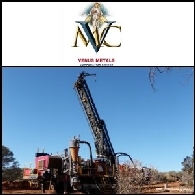 Venus Metals Corporation Limited (ASX:VMC) are pleased to announce the receipt of very significant gold assays from detailed sampling of drillhole YGRC 156 completed at the Yalgoo Gold Project, together with excellent results from selected composite sampling in four other holes. Venus Metals Corporation Limited (ASX:VMC) is pleased to announce the appointment of Mr Patrick Tan as the Company&apos;s Chief Financial Officer and Company Secretary (Full-Time). The appointment will be effective 1st September 2011. Venus Metals Corporation Limited (ASX:VMC) are pleased to advise a New Gold discovery at Bassit Bore Prospect, (E09-1676) (3.13 km2) Mt Phillips ("Tenement"). The Company has signed an agreement with a prospector for an option to purchase the Tenement for a total consideration of A$155,000 (inclusive of the option fee) payable in 3 instalments over a two year period. A A$25,000 non-refundable option fee has been paid and the option is exercisable at any time up to 10th February 2012. 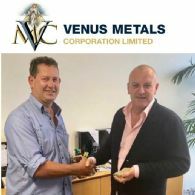 Venus Metals Corporation Limited (ASX:VMC) is pleased to announce the appointment of Mr Alan Birchmore as a Non-Executive Director of the Company effective 8th August 2011. 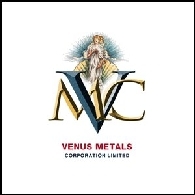 Venus Metals Corporation Limited (ASX:VMC) is pleased to announce the appointment of Mr Selvakumar (Kumar) Arunachalam MAusIMM M.Sc (Geology), M.Tech (Hydrogeology), PG Dip in Geothermal Tech (NZ), Dip in Science (GIS) (NZ) as a Director of the Company effective 15th July 2011. Mr Arunachalam is currently the General Manager - Operations and will continue in that position. Venus Metals Corporation Limited (ASX:VMC) are pleased to advise that RC drilling for pre-collaring has commenced at the Radi Hills Prospect, Telfer North Super Project. 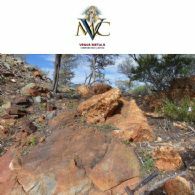 Venus Metals Corporation Limited (ASX:VMC) are pleased to report an Additional JORC Compliant Inferred Magnetite Mineral Resource of 201.7 Million Tonnes surrounding Bilberatha Hill. The resource model has been updated with newly interpreted mineralised zones to the North-East, North-West and South of the main Bilberatha JORC Inferred Magnetite Mineral Resource. 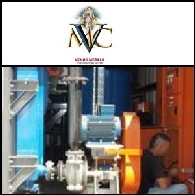 Venus Metals Corporation Limited (ASX:VMC) are pleased to announce the purchase of a containerised, modular diamond processing plant for its alluvial diamond project located at Smoke Creek, downstream of the nearby Argyle Diamond Mine in the Kimberley region of Western Australia. Venus Metals Corporation Limited (ASX:VMC) are pleased to announce that significant conductive anomalies coincident to 5mGal gravity and magnetic anomalies at Radi Hills have been identified from a recently completed Versatile Time Domain Electro-Magnetic (VTEM) Airborne surveys carried out within the Telfer North Super Project (TNSP). The Directors of Venus Metals Corporation Limited (ASX:VMC) are pleased to advise the discovery of additional magnetite mineralisation at the East Bilberatha target- Yalgoo Iron Ore Project. Venus Metals Corporation Limited (ASX:VMC) are pleased to advise that the Moodini initial drill results include a 120m sulphide rich alteration zone in altered granitoids from 356m in hole MORCD002 which includes precious metal values in silver up to 31.9g/t over 1metre. Results suggest drilling has intersected the edge of a potential large mineralised system with increased focus to the south of the current drillholes. Venus Metals Corporation Limited (ASX:VMC) are pleased to confirm the identification of Four Conductive Anomalies from the recently conducted Electromagnetic survey at Venus Metals "Yarloo Well"(E59/1593) Murchison Base Metals Project. Venus Metals Corporation Limited (ASX:VMC) are pleased to advise that the RC and Diamond drilling programme has commenced at the Eucla Moodini Project. The Directors of Venus Metals Corporation are pleased to confirm the granting of tenement E59/1593 "Yarloo Well "Murchison Base Metal Project. The Yarloo Well Project has returned anomalous base metal geochemistry from a Venus initiated CSIRO well and water bore sampling program. A significant result was returned from a sample collected at the Yarloo Well with strongly elevated Cu (466ppb) and Zn (540ppb) values. Venus Metals Corporation Limited (ASX:VMC) ("Venus") report the results of the Scoping Study on the Yalgoo Iron Ore Project (as completed by Mineral Engineering Technical Services Pty Ltd. Their financial model indicates a potential net present value of A$1.14billion with internal rate of return of 24.4% based on a 30 Mtpa mine. Venus Metals Corporation Limited (ASX:VMC) have identified a number of north-northwest trending en-echelon responses, some that are coincident with gravity anomalies over the Yarrie East project area in the Telfer North Super Project Area. Resource Potentials believe the anomalies represent layered ultramafic and are considered prospective for Cu/Ni/PGE massive sulphides. Venus Metals Corporation Limited (ASX:VMC) has identified further large open pittable magnetite exploration targets in addition to the JORC Compliant Inferred Magnetite Iron Ore Resource of 443.9 Million Tonnes at Bilberatha Hill. Venus Metals Corporation Limited (ASX:VMC) is pleased to advise that it has completed a private placement of 2,000,000 shares at A$2.00 per share together with one (1) free attaching option for every two (2) shares subscribed for (each option exercisable at A$3.00 on or before 30 June 2012) to raise A$4,000,000 ("Placement"). Venus Metals Corporation Limited (ASX:VMC) is pleased to report a JORC Compliant Inferred Magnetite Iron Ore Resource of 443.9 Million Tonnes at Bilberatha Hill, and highly encouraging Metallurgical test results of drill holes YGDD001 and YGDD002. Venus Metals Corporation Limited (ASX:VMC) is pleased to advise the results of the recently completed gravity surveys at Mt Morris IOCG/base metal target. 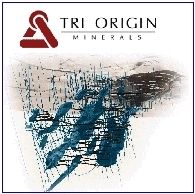 The gravity results indicate three discrete 2 mGal gravity highs typical of Iron oxide-Copper-Gold deposits. Venus Metals Corporation Limited (ASX:VMC) are pleased to announce significant results from the Companies co-funded CSIRO reconnaissance water bore sampling program recently completed in the North West Murchison Uranium and Base Metals project. 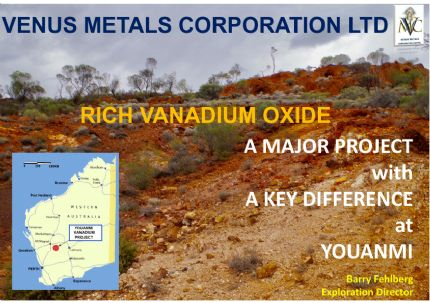 Venus Metals Corporation Limited (ASX:VMC) is pleased to announce the appointment of Mr Barry Fehlberg B Sc Hons as Senior Expert Exploration Advisor to the board of VMC. In this role, Mr Fehlberg will provide the board of VMC with strategic advice in regard to the Company&apos;s ongoing exploration and evaluation programs. Gravity survey results over Venus Metals Corporation Limited (ASX:VMC) Radi Hills IOCG/base metal target(*) show that the Radi Hills magnetic high has a coincident "bullseye" 5 mGal gravity high typical of Iron oxide-Copper-Gold (IOCG) deposits. Australian shares Monday extended the drops and hit a one-month closing low, as US President Barack Obama&apos;s plan to curb bank risk-taking raised concerns about US banks. At the close, the benchmark S&P/ASX200 index slid 32.7 points, or 0.7 per cent, at 4717.9 while the broader All Ordinaries index slipped 28.8 points, or 0.6 per cent, to 4743.1.